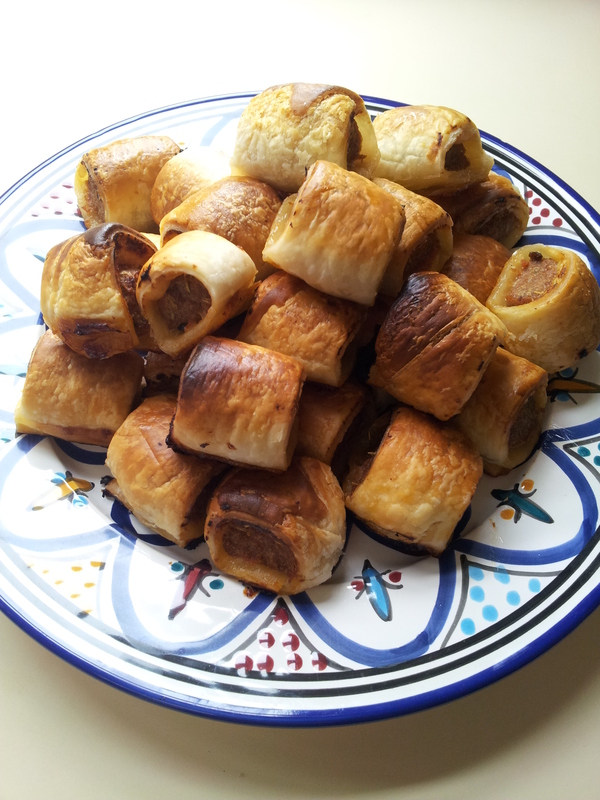 …and they don’t involve Tiny Teddies (although they are delicious). Toddlers can be fickle. I know this because I have one – a fickle one. One week she loves bananas, can’t get enough of them, will eat a whole one without coming up for breath. The following week she’ll take a bite, screw up her nose, toddle over to the rubbish bin and drop the whole thing in. Food was a big part of my upbringing and I always felt truly loved when my mother prepared my favourite comfort foods, so on occasion my heart has been broken when my daughter has refused to eat the meals I’ve lovingly made for her. I’ve spent hours cooking delicious food only to be left feeling defeated and frustrated when she’s flatly refused to take just one bite. Tears have been shed more than once. It’s taken a while but I’ve finally learnt not to take Little Chop’s food fussiness so personally. Here are some of my tips for feeding a fussy toddler. 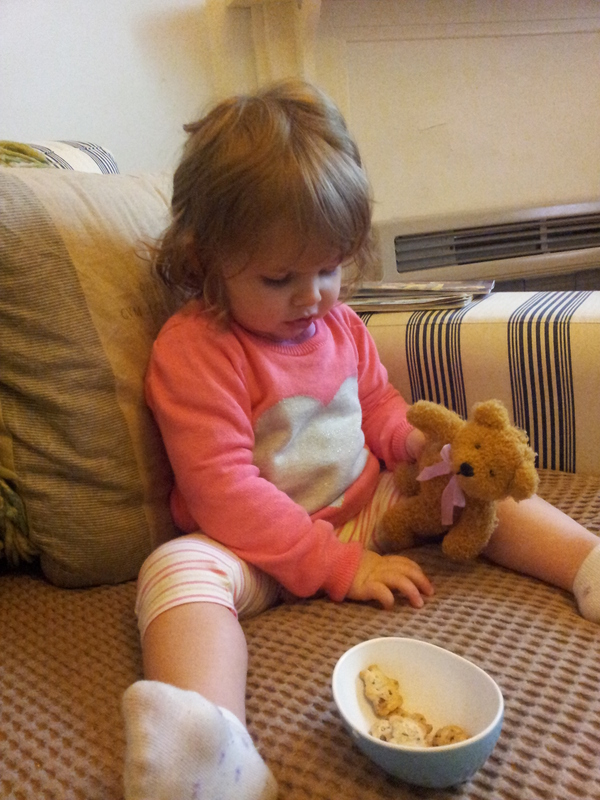 If your toddler refuses to eat or taste something you’ve made, don’t force them to try it or get frustrated with them. This will only cause stress and negative emotions towards new foods. Stay calm. Put the food in the fridge and try again tomorrow, or freeze it and try again in a week or two. Keep something you know they’ll eat in the freezer or pantry as a backup. For Little Chop, I keep pots of home made bolognese, fish fingers and Weet Bix. The more recipes you know, the more options and back up plans you’ll have for feeding your fussy little food critic. If they refuse to eat the risotto, you can whip up a batch of pikelets in five minutes flat. If they don’t like rice learn some pasta dishes. It can’t make things any worse. If your toddler loves rice offer them a variety of rice dishes, e.g. fried rice, risotto, paella etc. Same goes for pasta, beans, bread – learn what it is that they will eat and present it to them in a variety of ways. Little Chop likes a particular combination of finely chopped vegetables so I use that mixture to make her bolognese, stir fry, soup and fried rice. Just because your toddler won’t try something new today doesn’t mean that they won’t try something new tomorrow, so keep offering. Don’t give them the same thing everyday, this will only perpetuate the issue. 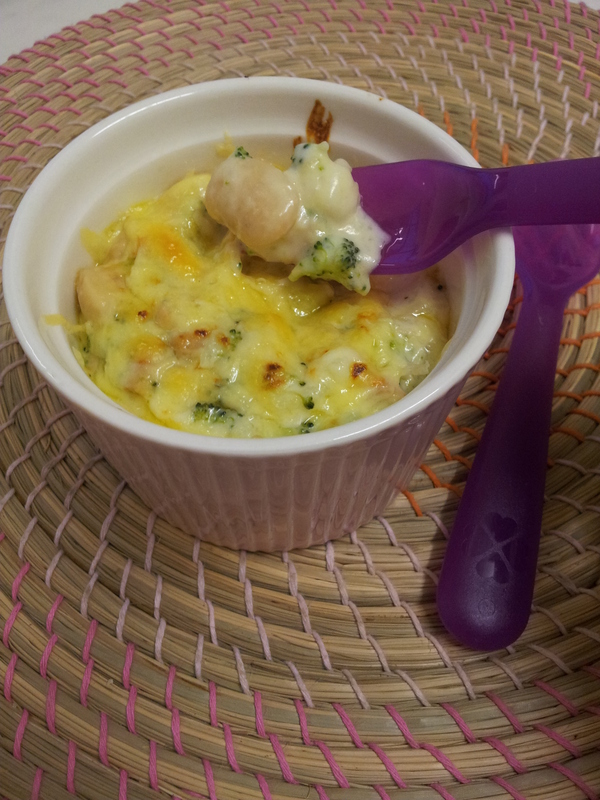 You don’t need to be a gourmet chef to make a toddler happy, just keep it simple and tasty. Don’t spend an hour cooking their dinner unless you are cooking it for yourself too. You will feel much worse when something you slaved over gets rejected than something you whipped up in fifteen minutes. You might feel personally rejected when your child refuses to eat what you’ve cooked for them, especially when you associate food with love as I do. Remember this is just a phase – a learning period – and it won’t last forever. Your child loves you just as much regardless of whether you feed them Weet Bix or roast lamb. Your toddler is more likely to be interested in trying a new food if they see you eating it. For example, tonight I offered Little Chop some pasta with osso bucco in her Bunnykins bowl. She took one bite and wouldn’t eat any more. I made the same thing for my own dinner and she had about ten mouthfulls from my bowl. She wanted to eat it because I was eating it. So, try offering your toddler food from your plate. I hope that parents of fussy toddlers find something useful in these tips. If you try them out, let me know how you go. Please remember, I’m not an expert, just a mum trying to help other mums and dads who may be struggling with a fickle, food-rejecting toddler. Hot on the tail of the popular apple cinnamon pikelet recipe I shared a little while ago comes this equally delicious offering – a new addition to my Fussy Toddler recipe arsenal. I love pancakes and I’m always on the lookout for new recipes so when I stumbled across these ones on a foodie blog I follow I had to try them, and they didn’t disappoint. 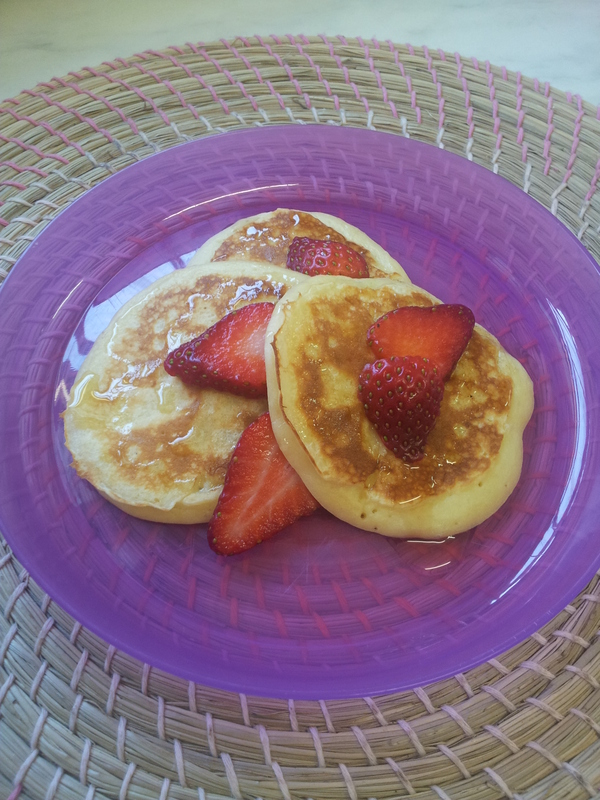 Until now, I’d never seen a pancake or pikelet recipe quite like this one but it produces the most delicious, moist, fluffy pikelets that are sure to please even the most hair-pullingly fussy toddler’s taste buds, and maybe your own as well. 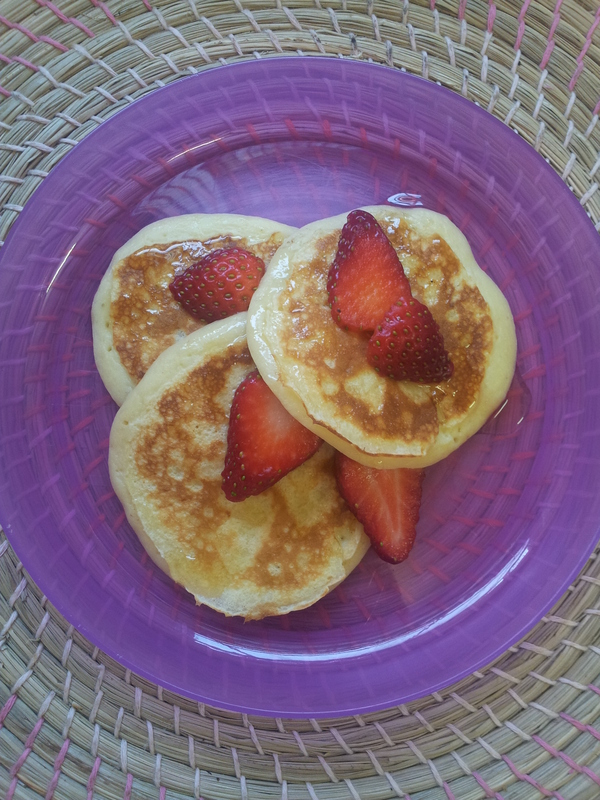 If your a fan of ricotta hotcakes, you’ll love these! I’ve adapted the recipe to make it my own so try both versions and see which you prefer. Mash the banana and mix with egg, yogurt, flour and baking powder in a large bowl. Add the milk bit by bit to loosen until you get a smooth, thick consistency. Heat pan on medium low and add a little bit of butter. If the pan is too hot, the outside of the pikelets will burn before the middle cooks through, so a lower temperature is better. Spoon smallish dollops of the batter into the pan, you should be able to fit 3-4 at a time, and cook until the outside is golden brown and the middle is set enough to flip. Then flip and cook on the other side until equally golden brown. Because these pikelets are thick and the batter is heavy, they take time to cook through. Be patient – make yourself a coffee – don’t turn the heat up! Serve warm with a little drizzle of honey and some sliced fruit like strawberries or kiwi. Voila, happy toddler, happy mummy. I made this for Little Chop’s dinner tonight and it got the Fussy Toddler tick of approval. Creamy, cheesy, yummy – what’s not to like? I almost got stuck into it myself! I must admit, I don’t really use recipes or measurements when I’m cooking at home, unless I’m baking, so these quantities are estimates, but it’s not an exact science – so don’t worry! Plus, you can substitute in other veggies like pumpkin or sweet potato if you like, or use some leftover roast chicken instead of tuna. This recipe will feed one fussy toddler, so just multiply it if you need to. Put the broccoli and cauliflower on to steam. When they’re nearly tender, add the beans and steam for a further 3 minutes or thereabouts. Meanwhile, melt the butter on medium heat in a small saucepan, add the flour and stir in until smooth. When the mixture begins to look frothy, remove from heat and gradually whisk in the milk. Return to stove and stir over medium heat until thick enough to coat the back of a spoon. Remove from heat and stir in most of the cheese – set aside a little for the top. Stir the veggies, beans and tuna through the cheese sauce – smashing the veggies and beans a bit as you go. 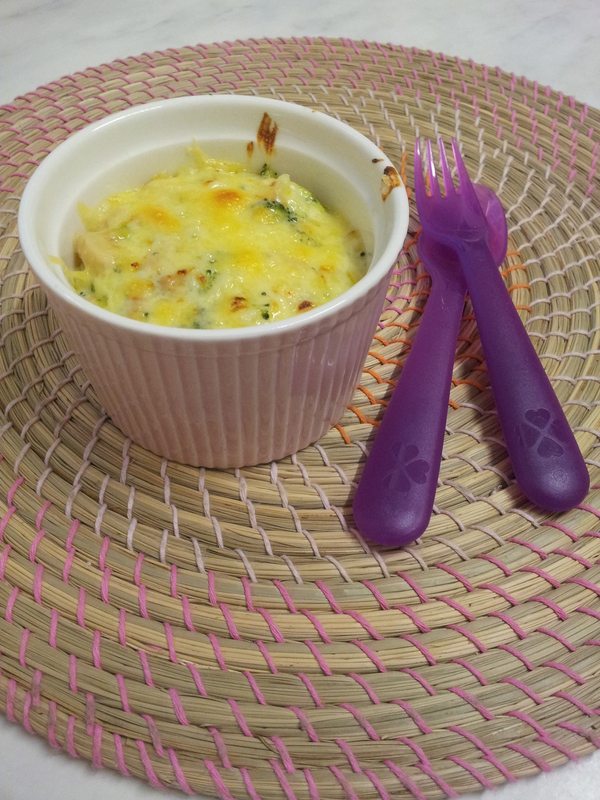 Spoon into a ramekin. Top with the leftover cheese and put under the grill until bubbly and a little bit browned. Allow to cool a little as the cheese will be very hot. Serve to your aspiring food critic. *I’m thinking about writing a regular post called ‘Fussy Toddler Friday’ – assuming I can come up with a new recipe every week that satisfies Little Chop’s discerning taste buds. Scrap that, it’s never going to happen. 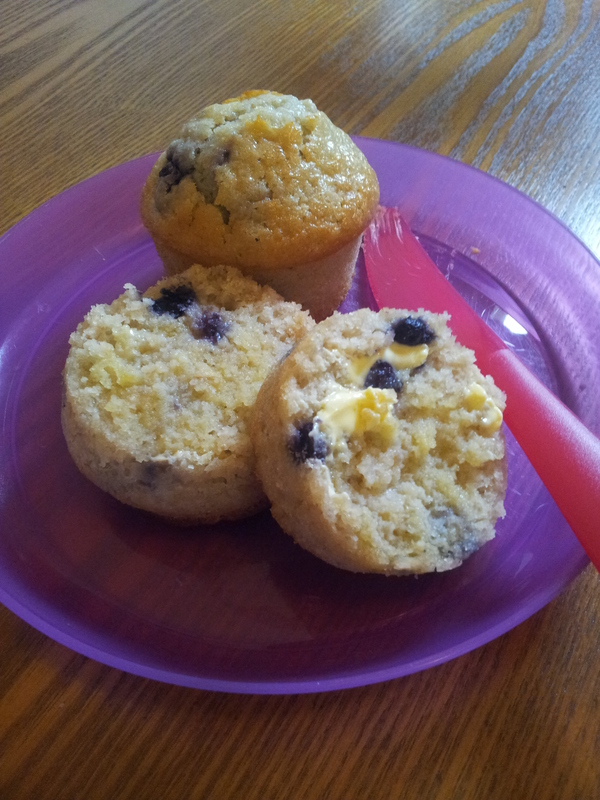 These muffins are great to have on hand for morning or afternoon tea. Little Chop loves the blueberries and goes to great lengths to eat them one by one before eating the rest of the muffin. Preheat oven to 180C. Grease a 12 hole muffin pan. Combine all ingredients in a large mixing bowl. The batter will be a bit runny and lumpy. Spoon into the muffin pan. 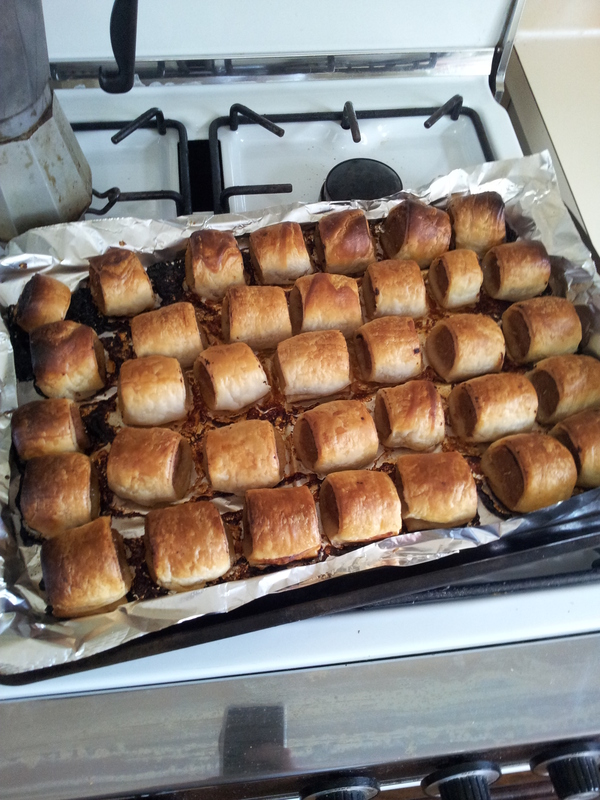 Bake for 25* mins. Serve warm with some butter or jam. *My oven is not fan-forced, so if yours is, check muffins at 20 mins. Store the muffins in an airtight container for up to three days or wrap individually in cling film and store in the freezer. Great for mum’s breakfast on the go, too! When you have a fussy toddler, you need a fallback recipe, something that’s quick, easy and sure to please when all else fails. 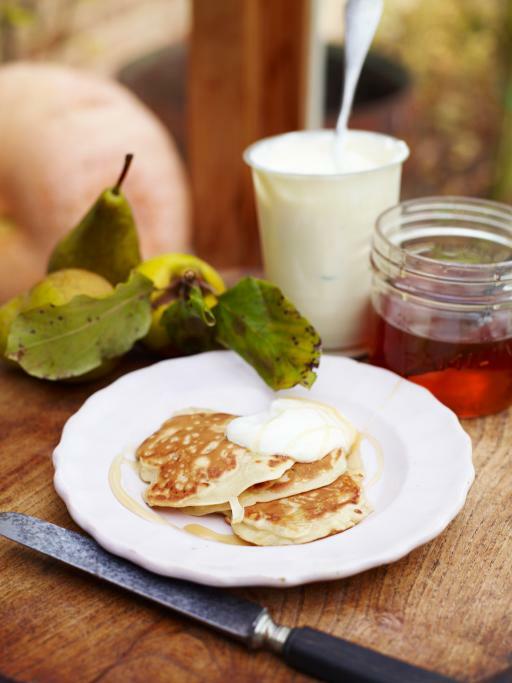 These delicious apple cinnamon pikelets come from a Jamie Oliver pancake recipe that I have adapted to better suit little hands and taste buds. The thing that makes this recipe a winner is that it seems like a sweet treat, but it’s actually quite nutritionally balanced (in my uneducated opinion). Mix all the ingredients in a bowl. The batter should be quite thick, so if you use a particularly juicy pear or apple add a bit more flour. Heat a little butter in a pan on medium heat. Spoon in smallish dollops of batter and spread them out a bit using the back of the spoon. When small bubbles are forming all over the surface of the batter and the middle has begun to set, flip the pikelets over and continue to cook until both sides are golden brown around the edges. The pikelets are naturally sweet and delicious on they’re own but you can add a little topping if you like – honey, jam, a bit of butter – or do as Jamie does and serve with some natural yogurt. Whether you serve them for breakfast, lunch or afternoon tea, these pikelets are sure to please any discerning little food critic. We’ve been so busy this week that I haven’t had time to blog but I did whip up these simple and tasty mini pizzas as a mid-week dinner for Little Chop and thought they’d be a great addition to my Fussy Toddler recipe series. *Very finely chopped = 3 mm pieces, tiny! Thinly spread which ever tomatoey sauce you have on hand on to the English muffin pizza bases. Mix the finely chopped veggies together and spoon evenly onto each base. Sprinkle the grated cheese evenly over each mini pizza and place under grill until melted and bubbly. Let the cheese cool a little then cut into quarters and serve.